I’m so excited about this project! I have a wall space that the kids call the “I love Daddy wall.” I made an addition for it that i have been planning to make for months. Inspiration from my Pinterest “walls” board. 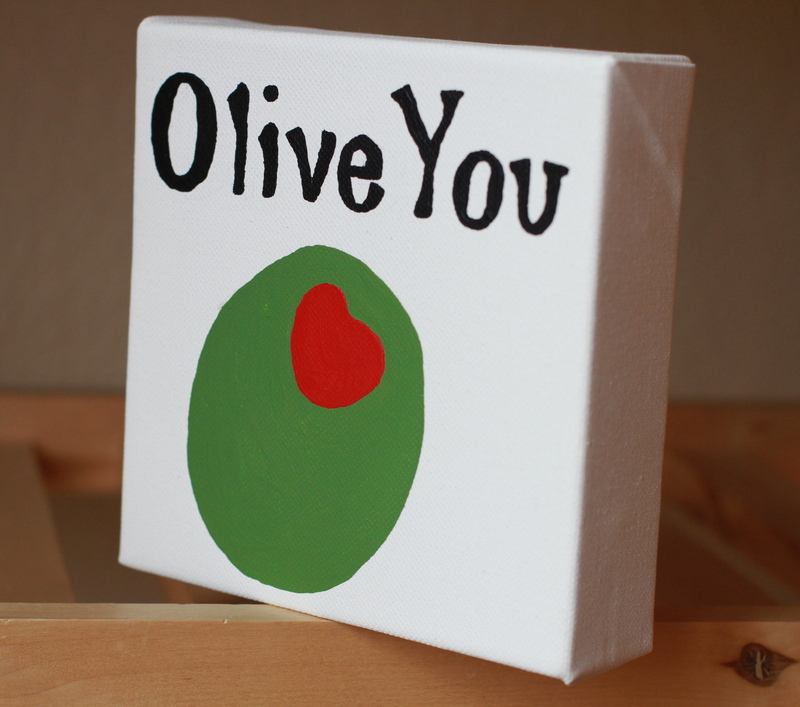 My canvas is 6″x6,” and it is more than an inch fat so it can stand alone anywhere. 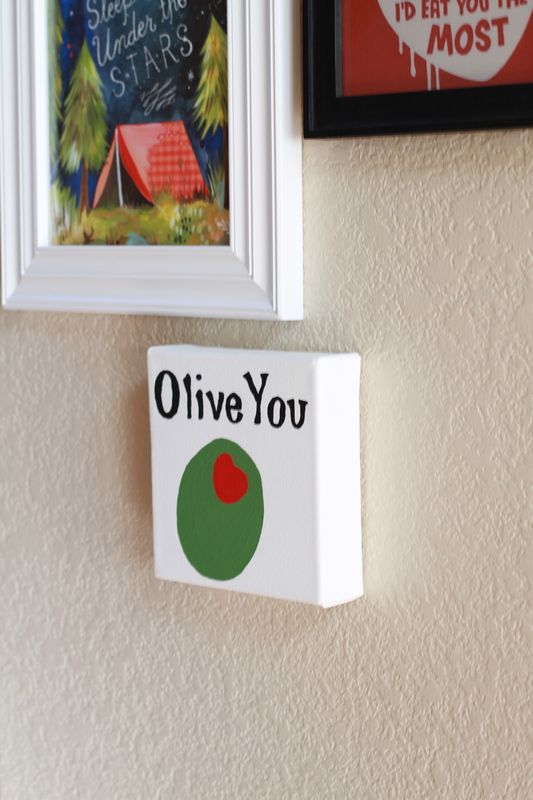 You are currently reading Pinned project- olive love at whatsarahfound.